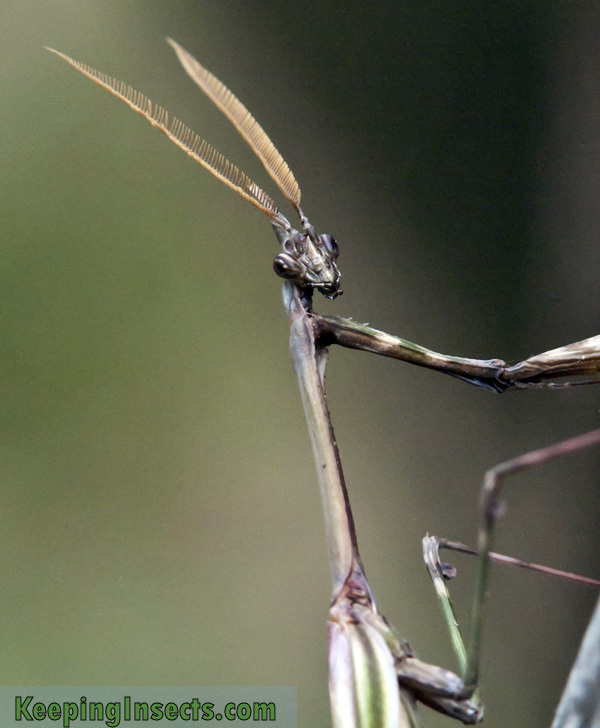 The following mantis has been photographed in Italy, Europe. The sender is wondering which species it is. Let me tell you it’s really hard to determine a species through a photograph. 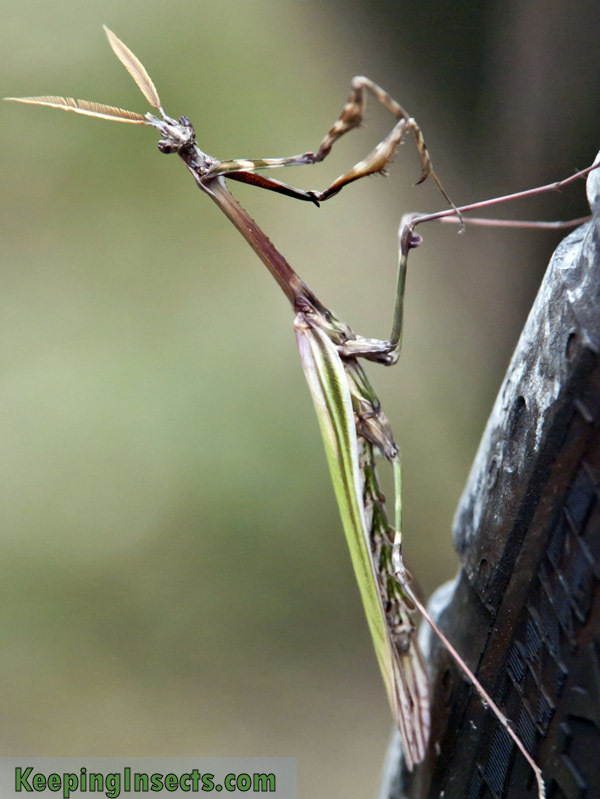 So which this animal I can only be relatively sure its a Empusa sp. What I do know for sure is that its an adult male. Adult because of the wings and body type and male because of the large and beautiful “feathered” antennae. What a beautiful mantis with the green wings and brown speckled body. Truly a expertly camouflaged animal.